A woman is suing Sephora for emotional distress, claiming she contracted herpes from a lipstick sample at one of their stores in California. 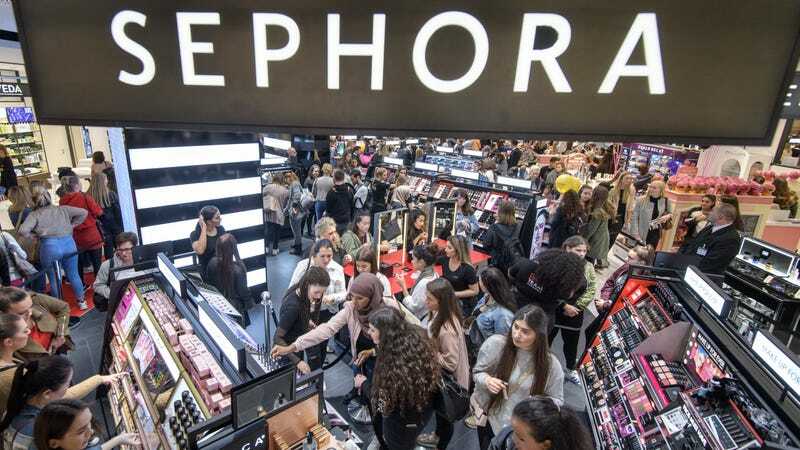 According to the lawsuit, the woman says she was diagnosed with the “incurable lifelong affliction” after using a Sephora tester in October 2015. She claims she never had herpes before trying the lipstick. According to the docs ... Sephora failed to clearly warn the woman and other customers of the risk of getting herpes or other diseases from trying on the lipstick samples. She says if she would have known ... she would’ve avoided them like the plague. The woman claims other lipstick companies have proven methods of avoiding herpes exposure — like individual samples or assistance from trained professionals — but Sephora cared too much about making a quick buck to bother. Along with testers, Sephora locations routinely provide sanitizer for samplers. Jezebel has reached out to a Sephora rep for comment. UPDATE: If you’re a current or former Sephora employee who has stories about the samplers, or if you have a tip about this topic, please email me at clover@jezebel.com.